Esperanza Alzona is Music Operations Manager for Shepherd University. Her background as an arts administrator includes six years as executive director of the Loudoun Symphony. She has had an extensive professional dance career as a soloist and principal dancer of the Baltimore Ballet, the Center Dance Ensemble, Prince George’s Ballet Company, the Greg Reynolds Dance Company and the American Dance Ensemble, along with numerous appearances as a guest artist with various companies in the United States and Italy. Ms. Alzona holds a teaching diploma from the Royal Academy of Dancing, an associate in arts degree in humanities and social science from Montgomery College, a bachelor’s degree in psychology from George Washington University and a master’s degree in public communication from American University. An award-winning independent choreographer, Ms. Alzona directed her own contemporary dance company based in Turin, Italy, before joining the staff of the Mid Maryland Performing Arts Center of Frederick in 1991. Ms. Alzona is a 1998 graduate of Leadership Frederick County. 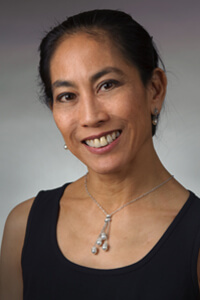 She has served as Director of Performing Arts for the Frederick Arts Council, as a Maryland State Arts Council Dance Advisory Panelist, Secretary of the U.S. Mid-Atlantic Regional Advisory Panel of the Royal Academy of Dance and Secretary of the Board of Directors of the Weinberg Center for the Arts, the Baltimore Symphony Orchestra in Frederick and the TAWA Dance Company. Ms. Alzona is a U. S. Fencing Association nationally ranked competitive fencer and holds a rating in both foil and saber. In addition to her administrative position with the Music Department she teaches fencing and dance courses as an adjunct professor for the Shepherd University Department of Health, Physical Education, Recreation and Sports.